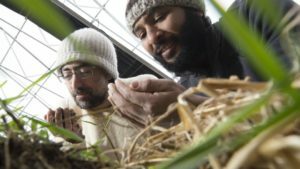 Health Canada’s micro-cultivation licence may create a whole new sector of the cannabis industry: cannabis co-ops. The government agency said it has received 83 applications for micro-cultivation licence applications as of January 31, 2019. Many of those are from cannabis co-ops pooling knowledge and resources. In BC, the Cascadia Agricultural Co-operative Association wants to build a medical cannabis co-op that includes the whole sales cycle from producers to processors to retailers and even consumers. Cannabis co-ops like this could be important since some medical cannabis users say they are finding it difficult to secure a supply after legalization due to cannabis shortages. The other way cannabis co-ops could help medical cannabis is through production. There is evidence to suggest that black market cannabis over the years has genetically modified most cannabis strains to thrive in smaller places. Some companies like Delta 9 in Winnipeg are taking advantage of that through grow pods that provide a turnkey cannabis business “in a box”. However, most cannabis co-ops in BC are planning to grow outside. Although micro-cultivation licences lower the barrier to entry for licensed producers (LPs) including craft cannabis growers, there are still significant costs. Fees and applications along are tens of thousands of dollars including a $23,000 regulatory fee, a $1,700 security fee, a $3,000 application fee and other costs. It’s estimated that small licensed producers will still require $1.5 million in startup funding to get off the ground. Growing outdoors, which is easier in BC than most provinces with its longer growing season, may reduce some costs. “There’s a phenomenon of the larger businesses coming in and gobbling up the smaller ones and saying, ‘We’re your only way to get to market.’ But by pooling resources and working together co-operatively these small farmers and businesses could remain independent with that structure,” she said.